NEW YORK—Longtime readers are already mourning the end of an era as CBS announced today that at the end of this month it would cease print operations of the popular drama NCIS after several years of diminishing ad revenue and subscription rates. “While we have always endeavored to publish the finest and most hard-hitting NCIS print content possible, our business model unfortunately can no longer support physical, hard-copy editions of the Naval Criminal Investigation Service’s adventures,” said NCIS publisher Shane Brennan, a long-time employee who delivered hard copies of the naval police procedural by truck during its infancy. 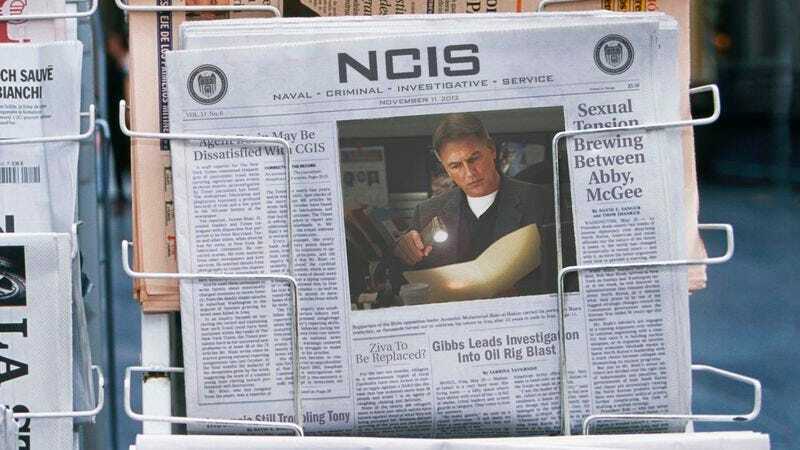 “While I still think that the print edition is the best way to experience NCIS—turning each page, feeling the newsprint on your fingers—it's time for us to move on and accept that the industry is changing. Still, I know I’ll always enjoy taking one of the hardbound print anthologies of past seasons off the shelf and leafing through classic exploits from yesteryear of Gibbs, McGee, and the rest of the team.” The NCIS editorial board later confirmed that they would continue to release new content on the drama’s weekly television edition.